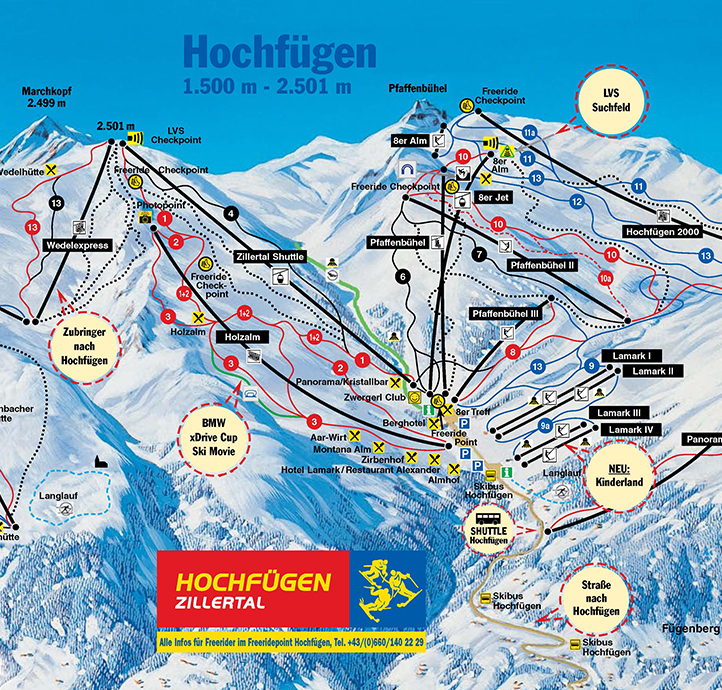 Right at the entrance to the valley Zillertal you find the skiing and snowboarding paradise Fügen/Hochfügen with snow guarantee until end of April. Spectacular slopes above the tree line call for daring downhill riders and one just takes in the beauty of the white magic all at once. After all the same track was skied on by the Olympic champion Stephan Eberharter.